Ian Birchall has kindly sent me the review of Unhitched that he wrote for Revolutionary History. I reproduce the text below, with his permission. Anyone wanting to read the original, or indeed read regular scholarly activist material on the history of revolutionaries and revolutionary parties, should click here and subscribe. 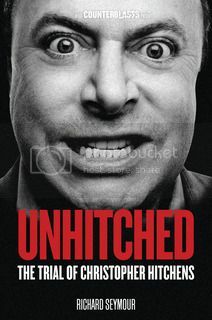 Christopher Hitchens was a most unpleasant person. Arrogant and ill-mannered, he could write quite well, but was guilty of plagiarism, repetition, evasion and downright lying. If he became a bloodthirsty, pro-imperialist jingo only after 9/11, there was much in his earlier work that prepared that move to the right. Richard Seymour’s short book offers a devastating analysis of Hitchens’ work and career. It is a careful, well-documented work, based on extensive study of Hitchens’ writings and discussions with those who knew him. 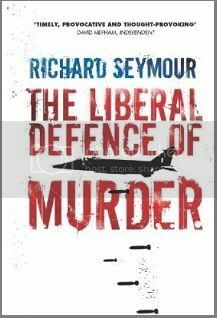 Seymour has been accused of being tasteless in writing such a book so soon after Hitchens’ death – though (at the very moment I am writing) some of his critics are dancing on the grave of Hugo Chávez. The account is readable and presented with clear signs of polemical glee. My only slight reservation is Seymour’s vocabulary. I consider myself a reasonably literate person, but every few pages Seymour seems to discover a word I don’t know. Thus I discover that “tomecide” refers not to cat-strangling, as I had supposed, but to destroying a book. This may be educational for a crossword addict like myself, but less helpful to other readers. 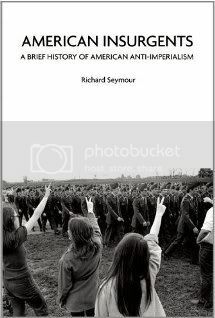 Seymour looks at several themes emerging from Hitchens’ work – his roots in the English literary tradition from Kipling to Orwell and Larkin, his ideas on nationalism, the inadequacies of his critique of religion and his changing views on imperialism and the Middle East. 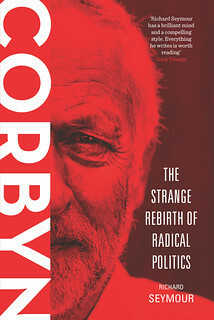 But perhaps the most interesting theme developed is that of political renegacy. Between 1967 and 1974 Hitchens was a member of the International Socialists, forerunners of today’s SWP, in Oxford and London. 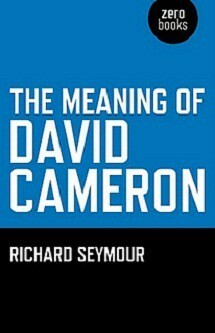 Seymour examines this period of his life with interviews and information received from Chris Harman, Alex Callinicos, Michael Rosen, Stephen Marks, John Palmer, John Rose and Martin Tomkinson. Renegacy as spectacular as Hitchens’ is relatively rare. After a meeting on left-right defectors at Marxism 2009 by Seymour and David Edgar, I remember discussing with the late Chris Harman just how many real renegades from IS/SWP we could think of. Not those who had accommodated to reformism, but those who had openly and prominently espoused the other side. We managed a grand total of five – two of them called Hitchens. Seymour’s account of Hitchens’ trajectory is carefully presented; yet as one who knew the young Hitchens, I felt certain discrepancies were left unexplained. Firstly, Hitchens left little trace in the International Socialists. At the time the organisation produced a quarterly, then monthly, journal, International Socialism, which was well respected and had a high standard of content. Hitchens was an aspiring writer, yet he did not contribute a single article to the journal. For one year – 1972 - the journal had a troika of Review Editors (at all other times one person sufficed for the job), one of whom was Hitchens. He contributed just three rather anodyne book reviews. On leaving Oxford for London, Hitchens joined the Hornsey branch of the International Socialists, of which I also was a member. I have to say that I have no memory of him making any particular impression on the branch, or of his giving a lead in any aspect of the branch’s activity. I do remember that he would sweep away at the end of meetings, too important or too busy to have a drink with the rest of us hobbledehoys. Alan Wald, in his studies of Trotskyist writers and artists like Sherry Mangan and Duncan Ferguson has powerfully depicted the tension between creative activity and the day-to-day donkey work of a revolutionary organisation. Hitchens resolved the tension by doing as little as possible of the latter. For an ambitious young journalist, systematic trade-union work in the NUJ doubtless seemed unappealing. In his own account of his departure from the International Socialists, Hitchens recalls his “relief … at ceasing to hear about ‘rank and file’”. Hitchens’ ostensible ground for resignation was the IS position on Portugal. He disagreed with IS support for the PRP (Revolutionary Party of the Proletariat), an organisation with some Guevarist tendencies which Hitchens later damned as “semi-Baader Meinhof elements”. Now at the time I served on the IS International Sub-Committee; I attended many, many meetings about Portugal. Never do I recall Hitchens speaking up to put his point of view. Nor, to the best of my knowledge did he contribute to the Internal Bulletin, or even write a letter to Socialist Worker. If he had his differences, he kept them to himself. So in the end I can only concur with Chris Harman, who told Seymour that Hitchens “went flat out to know the right people to make a career in journalism and began to find us a hindrance”. In an interview with Decca Aitkenhead, Hitchens implausibly claimed that he could not “trace any connection” between his wealth and his opinions. Now there can be no doubt that Hitchens liked money and the good life. 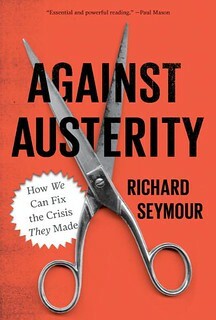 But the real key to his renegacy lies rather in a point Seymour makes in his final paragraphs, and which could have been developed further, namely what he calls “the defeat of 1968”. Between the French general strike and the beginning of 1974, when industrial action by miners brought down a Tory government, there was a massive upsurge of industrial struggle in Britain. There seemed a real possibility that the International Socialists could replace the Communist Party as the main militant force in the trade unions. For some on the left it seemed that their personal ambitions could be combined with adherence to the revolutionary cause. Roger Rosewell, the IS industrial organiser, doubtless dreamt of replacing Bert Ramelson. But with Labour’s Social Contract the dream faded, and Rosewell and Hitchens were perceptive enough to be among the first to notice that the ship was sinking. The long haul, perhaps lasting the rest of their lives, had no charm for them. Hitchens learnt much during his sojourn with the far left. Often he was able to use what he had learnt in a fresh political context. Thus his opposition to Clinton owed something to the traditional revolutionary critique of the Democratic Party – but it was deployed in preparing his rapprochement with Bush. Hitchens is dead, but his ideas will live on. Seymour’s book gives us a useful weapon to fight them.